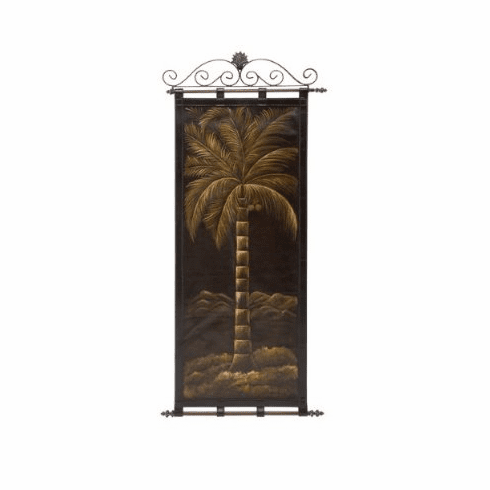 This is a very nice, high quality decorative metal metal holder with leather palm tree hanging 57"h, 24"w . It can decor your room or office. Featuring abstract shapes & patterns hand-painted in various bold colors.